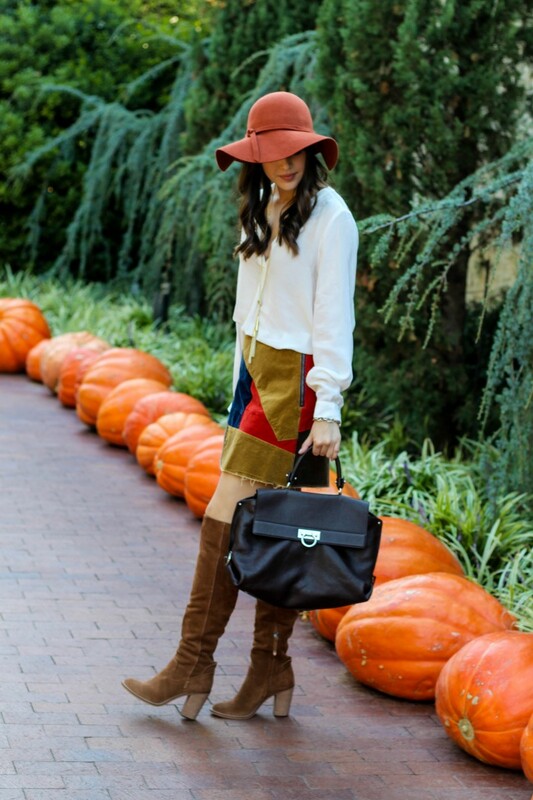 For the past couple of fall seasons, over the knee boots have been all the rage. And it totally makes sense; they’re versatile, flattering, and not to mention incredibly stylish. What I’ve decided to do is start a series over the next couple of weeks where I feature multiple outfits showing various ways to style your OTK boots! 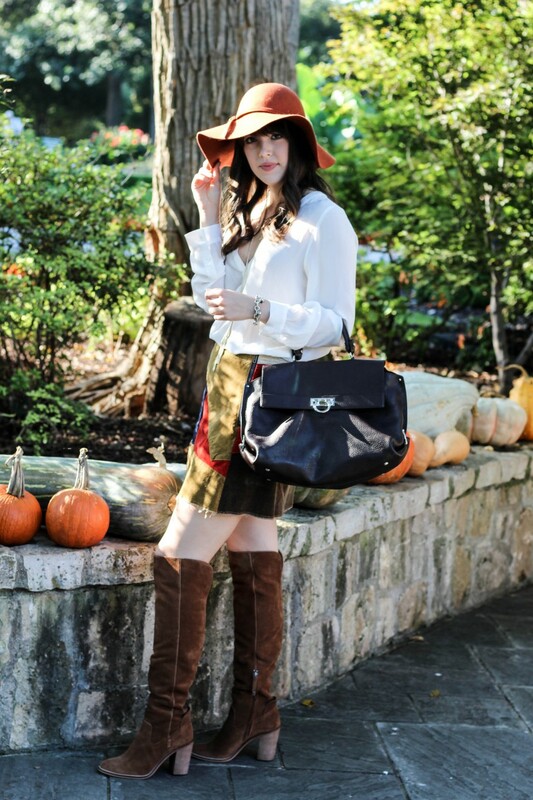 I’ll also be linking to a bunch of great pairs of OTK boots to snag for the fall season. 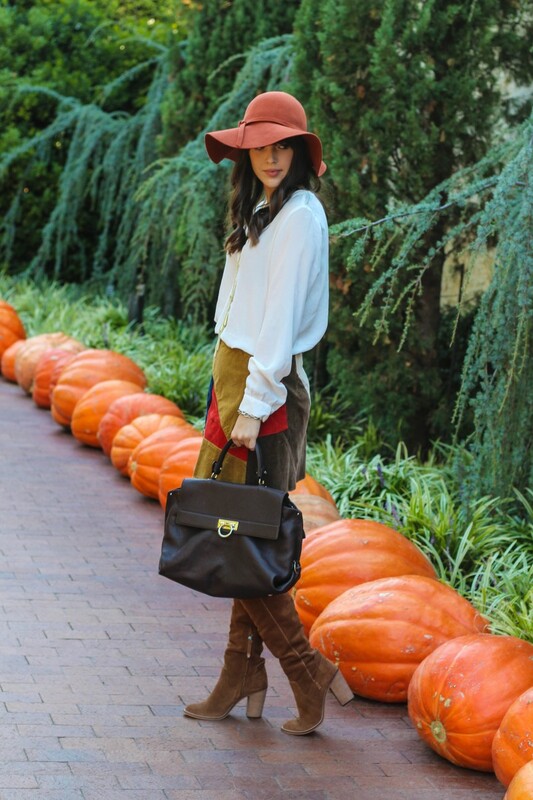 I’m starting off the series by styling my FAVE OTK boots (isn’t the color just incredible?!) with a corduroy skirt and silk blouse. This look would be a perfect daytime look, and when the temperatures drop it’d pair great with a camel trench coat or gray peacoat. Also I have been LOVING shopping on Saks Off Fifth lately! I got this Joie silk blouse I’m wearing for a fraction of the cost, and I know that it’ll be a staple in my wardrobe for every season. You’ve got to check it out! 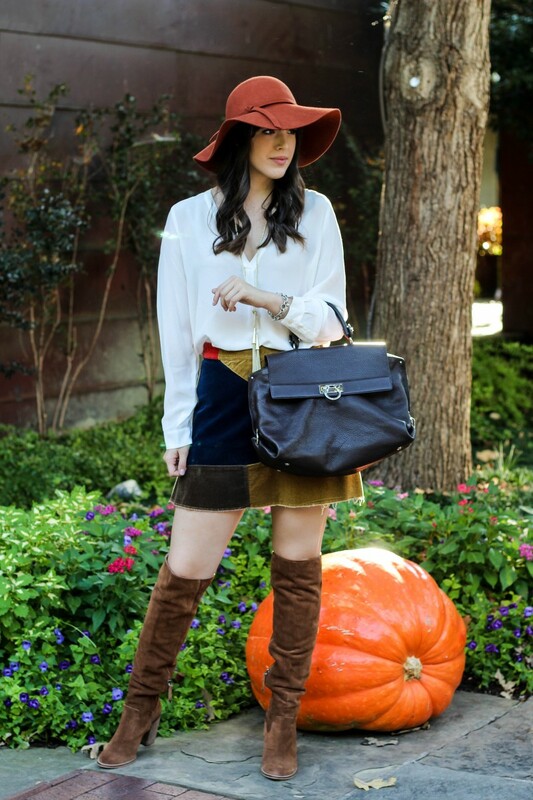 Shop this look below and my top picks for heeled OTK boots!